Florian Fricke (1944 – 2001) was a German music pioneer who started his career in electronic music using the Moog synthesizer within the famous Krautrock group ‘Popol Vuh’. Fricke studied piano, composition and directing at the conservatories in Freiburg and Munich where he also dedicated himself to new kinds of music like ‘free jazz’. In 1967 he met German film director Werner Herzog and the two formed a life long friendship (Fricke was later responsible for the soundtracks of several of Herzog’s movies). 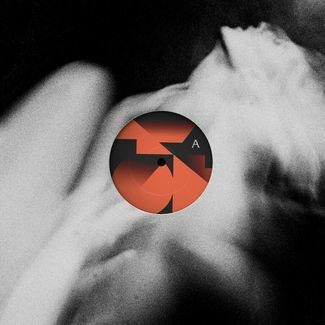 His recordings left an indelible mark on German electronic music. 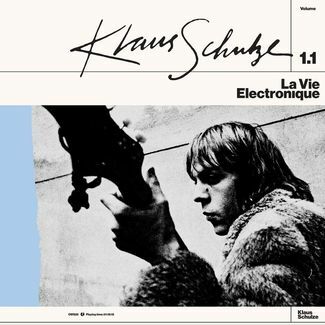 However, he later significantly gave his Moog to fellow German musician Klaus Schulze and largely renounced electronic music in favor of often-acoustic tones. Besides working on his own music, Fricke collaborated with many German musicians & bands like Tangerine Dream & Amon Düül. 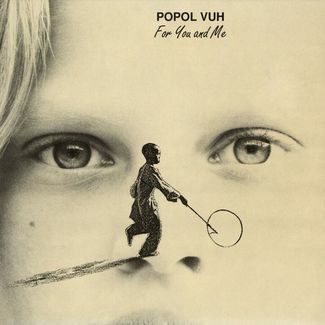 Over the course of his career Florian put out countless Popol Vuh albums and two solo albums, the first one being ‘Die Erde und ich sind Eins’ (1983) and in 1991 he recorded an intimate album of Mozart compositions. 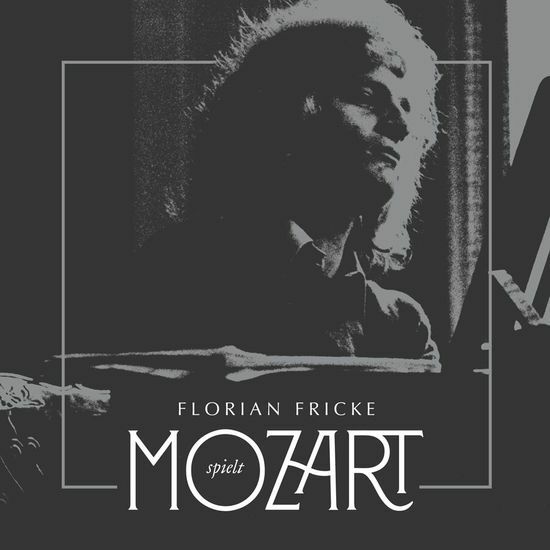 Fricke plays a beautiful selection of his favourite Wolfgang Amadeus Mozart Allegro’s & Adagio’s on ‘Spielt Mozart’ (plays Mozart). 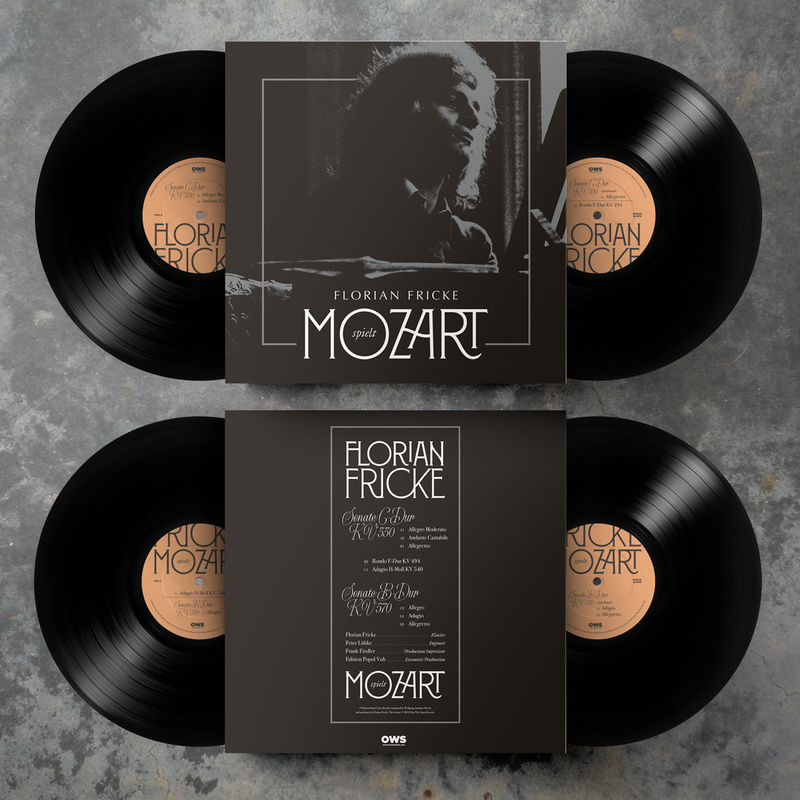 A very personal album for Florian, it was released as a tribute for the 200th anniversary of Mozart’s death. Trying to achieve a deep inner-peace, Fricke looses himself completely in the vibrations and wonderful melodies. 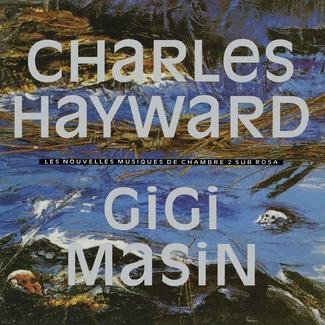 The result here is a honest interpretation without pretense or hidden motives, a tribute from one composer to another, almost like a dialogue between the two. Now, for the FIRST TIME ON VINYL (these recordings only received a limited CD release in the early nineties) OWS records proudly presents a deluxe double vinyl edition exclusively for Record Store Day 2018. Strictly limited to 1000 copies, available in participating stores on 4/21.